If there is one thing that I cannot stand about taking pictures, it is the time-consuming process of uploading them to social media sites. Lately, I have been doing a lot of video footage, and YouTube’s upload system, simple as it is, seems like a middleman just waiting to be eliminated. Camera companies have been responding to this consumer needs with supposed “YouTube” ready features, but this is not enough. Social media addicts are demanding that their pictures be uploaded to their Facebook and MySpace sites through the camera itself. 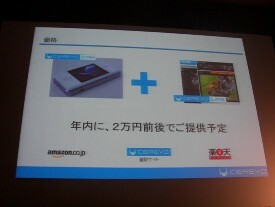 This was the subject of a presentation by Cerevo at the CNET Japan Innovation Conference 2009. The company Cerevo plans to release the CerevoCam, a camera with Wi-Fi and 3G, designed so that photos can be easily put on their photo sharing site known as CerevoLife. It promises to be so good that a consumer could take pictures late at night, then wirelessly transfer them to the Internet. By the time he or she logs onto the Internet in the morning, his or her photos will be on CerevoLife. There is room for about 5GB worth of free space, which is good for 4,000 pictures. The user can also share pictures on Flickr, Twitter, Picasa, as well as other services. The CerevoCam plans to launch in a few months for about $210, but could launch earlier if things are going well. Personally, I hope Cerevo perfects their process, and it is imitated by other camera companies. Anything that can relieve me of the USB cable to my computer is always welcome.